Right now is the ultimate time to explore one of the most extraordinary and awe-inspiring places on earth. 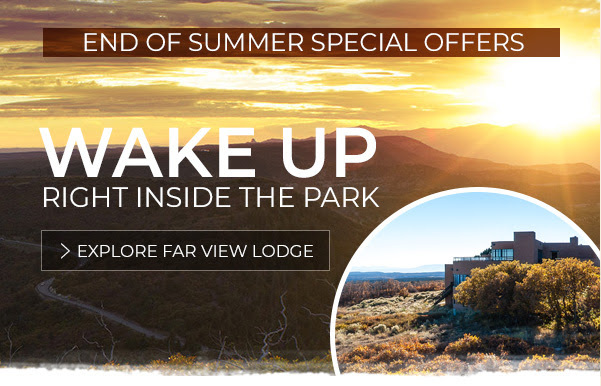 Relax at the comfortable Far View Lodge, the only accommodation within Mesa Verde National Park, where the warm hospitality, superb dining and epic views create indelible memories. 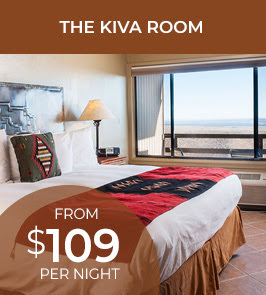 Room starting from just $109 per night. Check availability now. End of Summer Special: Offer is valid August 12 - October 24, 2018. Blackout dates apply and include 9/6, 9/7, 9/13, 9/23 - 9/27, 10/7. Offer based on availability. Not valid with other discounts or offers. 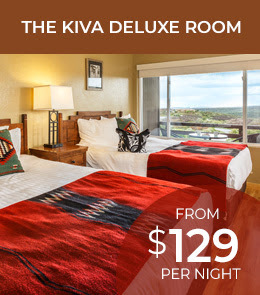 One-night room stay and tax required at time of booking. 72-hour minimum cancellation for full refund of prepayment/deposit. 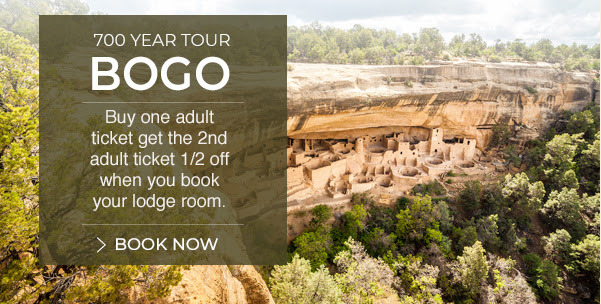 700 Year Tour BOGO: Offer valid through October 23, 2018. Based on promotional availability. Deposit is first nights room, taxes and fees. Cancellation policy 72 hours prior to reservation. May not be combined with any other offer or discount. Concessions in Mesa Verde are managed by Aramark and authorized by National Park Service.